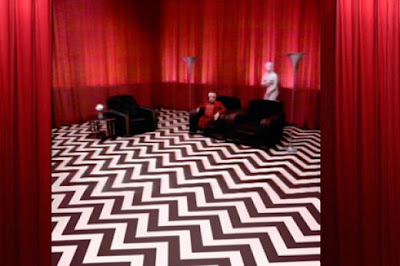 An element that I find exciting and always look out for when watching films (especially when they are directed by Lynch) are amazing, trippy and crazy patterns. I think that some of the most famous scenes in cinema history have been characterized by patterns, so I decided to post some of the most distinguished and loved ones. 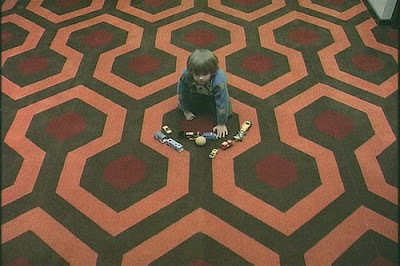 Some of the most legendary shots in my opinion that use patterns are: The Lodge from Twin Peaks, the Lady in the Radiator's stage in Eraserhead and The Overlook Hotel's carpets in Kubrick's The Shining. 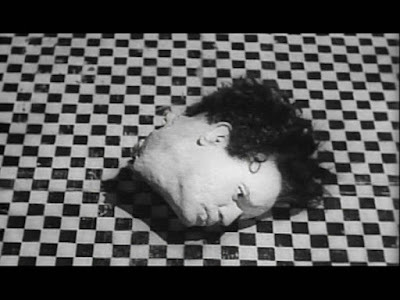 It's worth noting that both Lynch and Kubrick have been an influence to one another, specifically, Kubrick's vision for The Shining was heavily influenced by Eraserhead. Some more beautiful patterns can be seen in the films of Wong Kar Wai, especially in 2046 and in The Mood for Love. 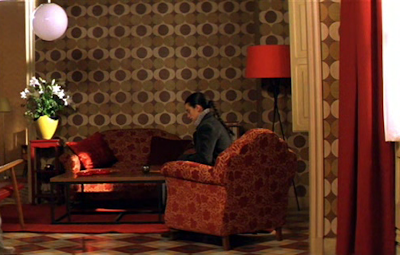 Pedro Almodovar's scenes often consist of geometrical 60's wallpapers, and one of the sweetest use of patterns is in Jean-Pierre Jeunet's Amelie.